My Piece. What’s Your’s? | What's it Like? 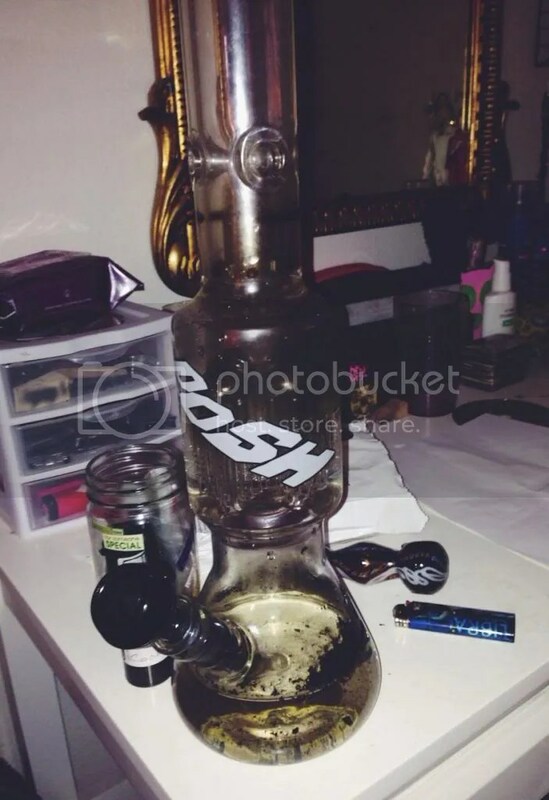 Before you judge, or send me a picture of your custom-made Illadelp, this is my baby, or my bong. I *know* it’s super dirty, but mi niño knows how to get the job done. My beau and I got this “Posh” beauty for Christmas, and ended up scoring a few free pipes (my bubbler pipe featured on the blog was one of them) with it. Can’t complain! Anyway. Show me your pieces and what is the best piece? Are you old school like my ma and like pipes, or something small? Or are you like me who likes something big and expensive? Orrrrrr… Do you roll your flowers in paper? Or vaporize? How do you use your marijuana? Secondly, I’m sorry for the lack of posts lately. Things have been chaotic, and I’m so ready to trade my chronic anxiety medication for some kronic. Stay lit.